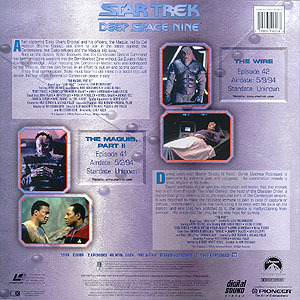 After capturing Sisko (Avery Brooks) and his officers, the Maquis ask them to join the battle against the Cardassians, but Sisko refuses and the Maquis slip away. Back on the station, Sisko discovers the Cardassian Central Command has been smuggling weapons into the Demilitarized Zone without Gul Dukat's (Marc Alaimo) knowledge. After rescuing the Cardassian leader, who was kidnapped by the Maquis, the two join forces in an effort to put an end to the conflict. 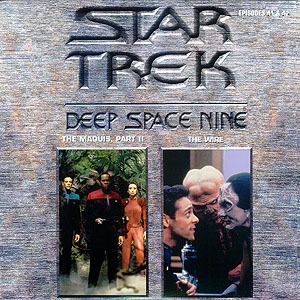 In the final confrontation, Sisko must face his old friend, Commander Cal Hudson (Bernie Casey), in a battle that will decide the fate of the Federation-Cardassian peace treaty. During lunch with Bashir (Siddig El Fadil), Garak (Andrew Robinson) is overcome by extreme pain and collapses. An examination reveals a small implant in his brain. Dr. Bashir confronts Garak with the information and learns that the implant was a gift from Enabran Tain (Paul Dooley), the head of the Obsidian Order, a clandestine group which acts as the eyes and ears of the Cardassian Empire. It was designed to make the recipient immune to pain in case of capture or torture. Unfortunately, Garak has been using it to cope with his exile on the station, and now that he's addicted to it, the device is malfunctioning from overuse. The enigmatic Tain may be his only hope for survival.